Starting a Family? Provide Stability with Family Budget Software. Starting a family is a dream for many people, but realistically it can also be one of the most emotionally and financially draining expeditions that any couple ever has to take and while it’s worth it for many, being aware of these early challenges will give individuals a much better ability to tackle them successfully. Emotionally, people must deal with many psychological effects that come from raising kids. Not the least of these includes losing sleep, the need for patience while raising and teaching children, and many other emotional drains. While many parents are somewhat prepared, or at least aware of the emotional challenges, they aren’t as aware of the financial challenges that come with children. A whole slew of unexpected expenses comes along from healthcare to diapers, baby formula, doctor’s appointments, clothes, and many others. To get through these financial tribulations it is very important to have a solid budget to prepare for both expected and unexpected expenses. If you’re in this type of situation, you cannot afford to be without a family budget software program. So how exactly does one create a budget? There are many ways, but the best, fastest, and easiest way to make a budget is to buy a good family budget software program. A large number of families fail to make a budget simply because they feel that the concept of budgeting is too hard, however, this could be further from the truth with good software. Creating a budget is literally as simple as entering in your projected expenses and income, and letting the software do the rest. Typically, these applications include tools to help you visualize your income relative to your expenses. Are you earning more than you’re spending? How quickly will it be until you reach your saving goals? These are questions that are much easier to answer after you enter your data into a good application, and the results are much easier to understand than using a typical spreadsheet! Family budget software can also sometimes help to make recommendations on how to achieve short-term or long-term financial goals in addition to pointing out potential areas of excess over-spending. Some goals that can be programmed in include: having a six month “rainy day fund”, saving for a family vacation, retirement savings, and so forth. Budgeting software helps lay out everything in crystal clear terms so that you can understand these goals in a tangible sense. Each situation is going to be different, so although it usually is helpful to pay down debt first, there might be some situations where you should save extra income instead. You will have to deal with these on a case by case basis to know for sure, but a good family budget software will help you to not only make the right decisions on a situation by situation basis but also to think in a more budget friendly manner when looking at future situations. The particular program that we recommend will help to train you, not only in creation of the budget, but in maintaining it when financial problems arise. Looking at the big picture, it’s easy to see why you would need to use family budget software, whether you’re just starting a family or already have children and are struggling to make ends meet. Navigating your finances successfully is difficult during the best of times, but when a family is growing and economic times are uncertain then it becomes even more important to get these numbers in order. Good decisions mean your entire family prospers, but bad decisions also hurt your entire family. Even if you are doing well, time will fly before expenses like cars, college tuitions, and weddings come up. So don’t waste time, find good family budgeting software today. 11 Steps to Buying a Phoenix Home Series-Accepted Offer! Each buyers experience leading up to an acceptance on their Phoenix Home is unique. The acceptance of terms by both parties is a very delightful milestone when rejections, multiple offers and multiple counters are the norm. The amount of earnest money is obviously negotiated before you get to this point. Typically you will have up to 24 hours to open escrow unless of course this term has been changed during negotiations, such as the case with many bank addenda that allow up to 48 hours to open escrow. Arizona is a title state (versus attorney state) which means you will be opening escrow on your Phoenix home with a title/escrow company which is a third party that holds the funds according to the contractual terms negotiated. 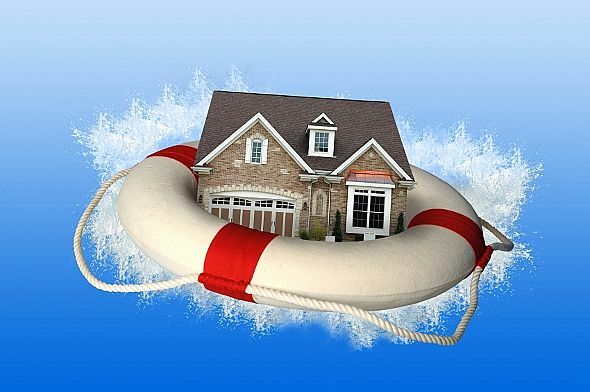 Typically, unless otherwise negotiated, your earnest money remains refundable through the inspection period as well through various other contingencies that must be removed such as qualifying for your loan if applicable and the Phoenix home appraising at value. 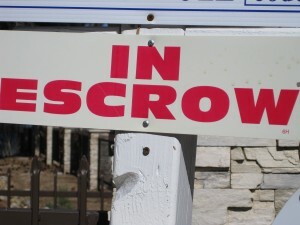 Opening escrow is your first order or business once your Phoenix home offer is accepted but that’s just the start. Once you are under contract there are several things you must do as a Buyer that requires your timely attention as you may hear and read in your contract that ‘time is of the essence. If you do not already have a full loan application in with your lender you will be required to do so within 5 days if not negotiated sooner such as in a bank addenda for a Phoenix foreclosure home. Your inspection will start so it will be time to conduct your due diligence on the property typically within 10 days. You will want to have your loan paperwork complete as soon as possible so once your Phoenix home appraisal comes in your file can go to underwriting ASAP to ensure you meet your close of escrow (COE). Time is of the essence when buying your Phoenix home and with this in mind all parties are required to proceed in a timely fashion to complete their obligations to avoid complications from nonperformance. 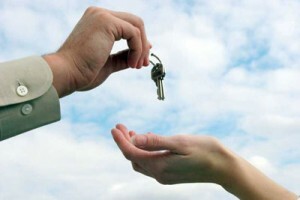 Your Realtor will help guide your through each phase of the transaction. A great resource that you will be given when you write your initial Phoenix home offer is the Arizona Dept. of Real Estate Buyer Advisory. This serves as a great reference tool throughout your Phoenix home transaction and you can click on the link above to bookmark it for future use. As most people already know, we’re living in an age in which credit has become an absolute necessity when it comes to managing our budgets and consolidating our monthly expenses. As a result, the business of providing credit is becoming more and more competitive. Most credit companies know that it’s no longer enough to simply offer consumers the convenience of using credit. Today’s credit users expect something a little extra to make selecting one program over another worth it and what would be more “worth it” than getting cashback from your credit provider every month simply for using your credit card the way you normally do anyway? However, as is the case with every type of card, getting the most out of a cashback credit card requires prudence and care on the part of the consumer. By following a few simple guidelines, you can effectively make your credit company pay you just for using their services. Don’t spend just for the sake of racking up cash rewards. The best way to get the most out of your cashback rewards credit card is to think of the cash rewards you’re earning as a “thank you” from the credit provider for using your card the way you normally do. Don’t make the common mistake of seeing the rewards as an acceptable excuse to overspend or abuse your credit. You’ll quickly find yourself to be the proud owner of a sky-high credit balance that you’re likely not able to stay on top of and any rewards that you do earn will quickly be eaten up by interest on the money owed. Pay your balance off in full every month. To get the absolute most out of your cashback card, you should make it a point to always pay your balance off in full at the end of each billing cycle. That way you will never have to pay any interest and are effectively making money you wouldn’t have otherwise by using your cashback rewards card. Avoid the temptation of using your credit to live beyond your means the way many people do. Instead, try to use it as a handy tool to consolidate your monthly bills and organize your expenses. This is a simple and effective way to maximize the rewards you earn without actually giving yourself any additional debt to fret about. Each cash back rewards credit card is different when it comes to the terms, rules, and limits that get attached to the consumer’s use of it. Does your cashback program feature a limit or cap on the dollar amount of rewards you can earn per month or year? Are you eligible to earn your rewards at higher rates for certain types of purchases – gasoline or groceries, for example? It is your job to know the answers to these and any similar questions if you really want to get the most out of your card. When it comes right down to it, making the decision to fill out a cash back credit card application is just like every other important choice in life. The key to getting the best possible results lies in making smart decisions, being informed, and being responsible at all times. Apply for cash back credit cards to start earning cash back. Or if you prefer to travel, apply for an airline credit card. Filing bankruptcy is not a better solution to credit card debts. There are many other best bankruptcy alternatives that can help people in regaining the financial freedom without hurting the credit scores. Debt settlement and credit counseling are the two best bankruptcy alternatives. Although people get relief through filing bankruptcy in a short time but it’s bad after effects are of long term. For many years, a person feels himself as financially paralyzed. For this reason, legitimate bankruptcy alternatives like credit counseling and debt settlement can save people from worst financial crisis. If some one has only two cards then there is no need for the consolidation. It is only advisable if some body has a debt of more than two cards. Consolidation is not a permanent relief, it is temporary. No doubt the credit card companies have been paid, from there you have a relief, but you have brought yourself a new loan which is still to be paid. Debt settlement provides elimination in the debts up to 50% or even more. For getting a successful deal, a person has to hire a professional well-seasoned attorney. These people charge their fees for providing settlement services but it will increase your chances of getting more elimination. Training and education about credit management is provided in credit counseling. This option does not provide any reduction in debts as settlement does. A person who wants to save his credit history and wants to pay his debts without any elimination and reduction should try this best bankruptcy alternative. In this program, different workshops and lectures are offered to people. Mostly these counseling programs are run by the government and non-government agencies. Military agencies are also providing counseling services. As millions of people are buried under the stacks of debt, many organizations offer counseling free of cost. This is because if all these people will go for filing bankruptcy then credit card business will ruined in a few years. There were millions of bankruptcy filings that were filed in the year 2010. This number is increasing day by day. Harris Smith is a personal finance writer interested in home equity line of credit Don’t Miss Out! Even if it is just a few days late, just one overdue payment-whether it’s for your mortgage, a utility bill, an auto loan, a Visa account, or any of a hundred other credit obligations-could seriously damage your FICO score. FICO pays a lot of attention to whether you start a pattern of missing due dates, so a series of late payments can really hurt your score. It’s not too late to straighten up your act. Get yourself current as quickly as you can and then remain current. Your score will begin to increase within six months- and the longer you keep it up, the more noticeable the increase will be. The negative weight FICO gives to bad behavior like delinquencies lessens over time, so as long as you stay on the right path, those black marks will eventually disappear from your record for good. Of all the factors you are able to control-and improve quickly-the amount you owe is probably the most powerful. Say you’ve got a $1,000 balance on card with a $2,000 credit limit-and then the card company slashes your limit to $1,000. Suddenly, you’ve gone from 50% credit utilization to being maxed out, and being maxed out might cost you as much as 100 points. Closing old accounts shortens your credit history and reduces your total credit-neither of which is good for your FICO score. If you have to close an account, close a relatively new one and keep the older ones open. Also, closing an account will not remove a bad payment record from your report. Accounts that are closed are listed with active ones. The best way to increase your score is to show that you are able to handle credit responsibly-which means not taking too much and paying back what you do borrow on time. Do not open new accounts just to raise your available credit or create a better variety of credit. This is especially true if you’re just beginning to establish a credit history. When you apply for a loan, the lender will “run your credit”-that is, send an inquiry to a credit rating agencies to figure out if you are credit worthy. Too many such inquiries might hurt your FICO score, since that can indicate you are trying to borrow money from many different sources. The FICO scoring system is designed to allow for this by considering the length of time over which a series of inquiries are made. Try to do all your loan shopping within 30 days, so the inquiries get tied together and it is obvious to FICO that you are loan shopping. I need to find http://tinyurl.com/dktx98. I am trying to locate a debt agency.. This article, Improving Your Credit Score is available for free reprint.